With online betting, you will be able to place bets safely, and at your pace, without having to queue up. Winnings will be credited directly to your designated bank, instead of collecting in person at the outlet. Once you are logged in on your desktop or mobile device, you can place a Lottery or Sports bet including for live betting events. Online betting is available only with a Singapore Pools Account. As the sole legal operator of Lottery and Sports betting in Singapore, Singapore Pools is committed to creating a responsible gaming environment online for our account customers. 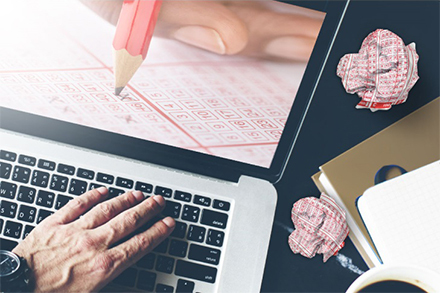 Your Singapore Pools Account comes with features that help you manage your betting activities online, allowing for more discipline when you bet. To help you better manage your funds for betting, a limit must be set on how much you can use to bet through your account within 24 hours. This limit can be increased but you need to wait for 24 hours before the change takes effect. Any reduction will take immediate effect. We recommend that you carefully consider your expenditure limit and choose an amount that is within your means. Similarly, you must limit the amount of fresh funds you can add to your account within 24 hours to pay for your bets. Once set, the limit can be increased only after 24 hours. Any reduction will take immediate effect. Total expenditure, total deposits and net win or loss over the past 24 hours will be presented in your Account Summary every time you log in and log out. A reminder will be displayed in your Account Summary when you exceed 75% of your Daily Expenditure Limit or Daily Funding Limit. Transactional records up to the last six months can be retrieved anytime in your Transaction History. Review your betting activities up to the past 26 weeks with the Weekly Statement. Your opening and closing balance for the selected week, together with total bets placed and net win or loss, will be displayed. If you feel it is in your best interest to take a break from any betting activities through your Singapore Pools Account, getting yourself excluded can help you exercise more control. You may apply for self-exclusion by opting for "Non-Casino Self-Exclusion" through the National Council on Problem Gambling (NCPG) website. Sign up for a Singapore Pools Account here.